To help make people’s lives better all around the world. Organo aims to reinvest in the communities where we operate. This new campaign focuses on empowering marginalized women while promoting sustainable production. Bags for Life is a tie-up campaign with a non-profit organization that provides work to unemployed women in impoverished urban areas. 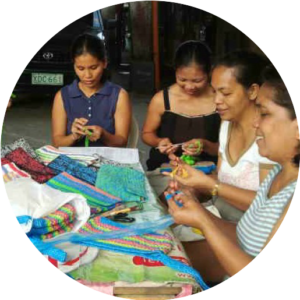 This initiative lets our Distributors and customers get involve in a meaningful way, recycling their trash to transform it into livelihood opportunities for these women and their families. ORGANO collects used, empty sachets donated by our OG Community, and sends them to the women involved in the non-profit organization. These women use these sachets to craft purses, or Bags for Life, and are paid by the Company for each finished product. Each Bag for Life is auctioned during OG’s regional conventions, with most of the proceeds also going back to the women who crafted them. Sharing and caring is at the core of our business, and we aim to make a difference in people’s lives for the best. In order to help these women to meaningfully enhance their lives and those around them, our goal is to produce 5000 Bags for Life by the end of 2019. Each Bag for Life requires a minimum of 600 empty sachets. This means that, to reach our goal, we need to collect 3 Million sachets! We cannot do this alone! That’s why we invite our entire OG Family to participate in this initiative and help us make people’s lives better. All you need to do to help is to recycle your used, empty sachets, and send them to the nearest drop off center near you. Steps to prepare your sachets for conversion into Bags for Life. 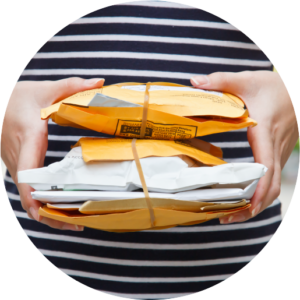 Regional offices and pickup centers to mail or drop off your clean sachets. Complete the form to receive updates, invitations to auctions, and promotional coupons to THANK YOU for your donation. Join Us. Donate your sachets. Organo Gold International (Philippines) Inc.